Ellen Page plays the role of Courtney in ‘Flatliners.’ Photo courtesy of rogerebert.com. A remake of the 1990 sci-fi thriller of the same name, “Flatliners” strives to explore the afterlife and what it feel like to die by examining five medical school students engaging in a scientific experiment. The students trigger near-death experiences by stopping their hearts for short periods of time, drawn by the promise of increased mental performance. Through the academic growth they appear to gain, flatlining quickly becomes a way for the characters to receive an academic edge in the stressful environment of medical school. Soon, however, they discover there is a dangerous downside to flatlining. The twist in the film is that the effects of flatlining do not end at the perks. Each character experiences their own unique afterlife for only a couple of minutes, each ending with a brief moment where they are face-to-face with someone they have wronged in their lives. The characters have to face this “demon” of sorts while flatlining, and eventually in real life, in order to prevent their own demise. In an effort to innovate the scientific field, as called upon by Dr. Barry Wolfson (Kiefer Sutherland), Courtney (Ellen Page) ventures to investigate the afterlife and neural activity. Promising her classmates that they will not be liable for her death, she asks them to stop her heart and record her brain activity. Momentarily dead, Courtney flies over the rooftop of the hospital and travels to churches, bridges, and sites around the city. Courtney experiences bliss, but soon she is brought back to the memory of crashing her car in a river, which happens in the very first scene of the movie. After coming back to life, it would take her some time to discover that part of her flatline followed her into the living world and would haunt her and her friends throughout the rest of the film. Recently, many films have been remade from older films. “Jumanji” has an update coming out later this year, and “Ghost in the Shell” and “Beauty and the Beast” were remade earlier this year. “Flatliners” is as disappointing as “Ghost in the Shell” was for those who have seen the original of either films. “Flatliners” relies on heavily used cliches, including lines like, “it was just a dream” and the ever-present flaw of horror/thriller films where characters certainly should not go alone somewhere or open a door. These are frequent and concentrated in the second half of the movie. Any buildup the movie has falls off the proverbial cliff after the last character is resuscitated from their flatline and turns into various chase scenes through their apartments and the hospital to evade their deaths. One deciding factor for the success of a horror/thriller film is whether or not an audience can engage or even relate to the characters on screen. 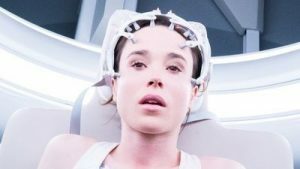 “Flatliners” is already inaccesible to audiences because of the subject matter, as people cannot understand the afterlife in a way depicted by the film. Horror/thriller films try to encapsulate the fear people feel from losing their own life or their loved ones’, and “Flatliners” fails to access any emotion from the audience. The characters are also not rational. They are all aware of their struggles, and, even after informing each other of what demons they face, still opt to spend time alone, separated from any safety they could have. There is one glimmer of hope among many disappointments in “Flatliners.” There is a message, albeit not communicated clearly, that people need to recognize and take responsibility for their mistakes, whether that involves asking people we have wronged for forgiveness or forgiving ourselves for what we may hold onto. Unfortunately for some students in the film, they have a much harder time than others, and that grief and fear are what ultimately drives the movie to its climax, when one students tries to end their life instead of facing what they have done. Unfortunately, the second attempt of “Flatliners” was dead on arrival. The script was unimaginative, and leaves the audience with little to interpret. Instead, characters tell each other when something bad happens in a way that insults the audience’s ability to interpret on screen action. While “Flatliners” was well done technically, shown by the camera work in the characters flatlines, as well as featured an interesting rising action and meaningful message, the lifeless script and unbelievable characters were two major flaws which should have signed the “do not resuscitate” order on this concept. Jonathan is a junior double majoring in Economic and Finance and English Writing and minoring in Music. He enjoys music, traveling, hammocking, drinking tea, and listening to records. This is his second semester writing for the Concordian!